Persian architecture has a very long and complex history and is often regarded as the field in which Persia made its greatest contribution to the world’s culture. 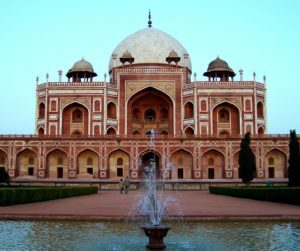 Although Persian styles differ sharply from any other Islamic architecture, they have strongly influenced buildings throughout much of the Islamic world, especially in Central Asia, Afghanistan, Pakistan, and India. The choice of subjects from nature, simplified into almost unrecognizable patterns, may be called the formative principle of Persian art. 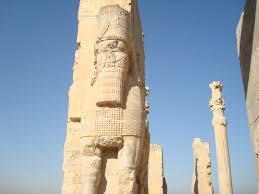 Much of 4th-millennium Iranian art is strongly influenced by that of Mesopotamia. The “Animal style” which uses decorative animal motifs is very strong in the Persian culture first appearing in pottery, reappearing much later in the Luristan bronzes and again in Scythian art. The history of to their constructions begins AT the beginning of century VII, at the moment at which the Persian tribes happen of the nomadic state to the semi-sedentary state. Ace they demonstrate the important vestiges to it of Masjidi Solaiman, the leaned artificial terrace to the mountain that supported the fortified dwelling of the prince, is one of the elements characteristic of the hearing whereupon the constructors have looked for the Seth effect. Of the early times of the empire no authentic remains exist, except those of the tomb of its founder, Cyrus, at Murgab or Pasargadae (east of the head of the Persian Gulf), and some of the walls, &c., of the ancient capital, Ecbatana, in North Media. During the medes & the Achaemenians, fragmentary remains of Cyrus’ Palace at Pasargadae in Fars indicate that Cyrus favored a monumental style of building. He incorporated decoration based partly on Urartian, partly on the older Assyrian and Babylonian art, as he wished his empire to seem to be the rightful heir of Urartu, Assur, and Babylon. The famous walls of Ecbatana, the ancient capital, are said to have been 75 feet broad and 105 high, its stones 9 feet by 4 ft. 6 in., and its gateways 100 feet high and 60 wide. The remains, however, show walls only 12 feet wide, stones only 2 feet by 1 ft. 2., and a gateway only 12 feet high and 10 feet wide. They deserve particular mention on account of their being among the earliest examples of constructive coloring on a grand scale. However, of far greater artistic importance is the contribution of the Sassanids, who ruled Iran from A.D. 226 to the middle of the 7th cent. Adapting and expanding previous styles and techniques, they rebuilt the Parthian capital at Ctesiphon. There a great palace with a huge barrel vault was constructed of rubble and brick. 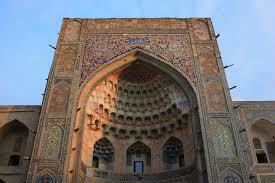 Sassanid architecture is decorated with carved stone or stucco reliefs and makes use of colorful stone mosaics.